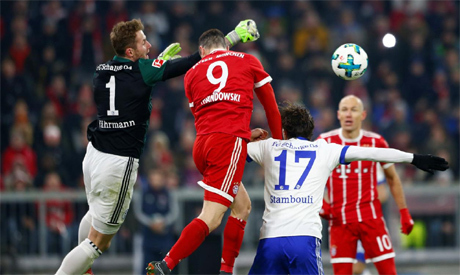 Champions Bayern Munich are unusually with their backs to the wall as they travel to Bundesliga leaders Borussia Dortmund on Saturday, with coach Niko Kovac quickly running out of time. The Bavarians, who have won the last six league titles in dominant fashion, have been far from impressive this season, lying in third place on 20 points, four off leaders Dortmund. Their nervous 2-0 win over minnows AEK Athens in the Champions League on Wednesday may have edged them closer to the knockout stage but it was further proof of their dip in form and their laborious style of play under the Croat. “We know we need to improve for the match in Dortmund,” Kovac told reporters. “At the moment we are missing fluency and lightness in our game. Kovac, in his first season in charge, has so far failed to make the most of his squad’s depth of talent as they struggle for form amid reportedly growing dissent in the changing rooms. Club bosses have angrily attacked media for unfair reporting but one indication of that dissent was the sharp criticism of Kovac on social media during last week’s 1-1 draw against Freiburg by midfielder Thomas Mueller’s wife. She later apologised to the coach for commenting that he finally had his first “brainwave” when he brought on Mueller as a substitute against Freiburg. But by that time it was clear to everyone all was not well in the Bayern changing room. But he knows anything other than victory at Dortmund is unlikely to stop any talk of a crisis. A loss would leave them seven points adrift. Dortmund, on the other hand, are enjoying a sensational start to the season and only suffered their first defeat on Tuesday, losing to Atletico Madrid in the Champions League. As opposed to Kovac, coach Lucien Favre needed no time to leave his imprint on the Dortmund game, with his team racking up 30 goals in 10 league games for the best attack in the Bundesliga.